Along time I asked myself- should I do the Elf on the Shelf with my kids? I decided against it- it’s just so extra– and for a long time it was easy enough to pull off. It’s relatively simple to decide not to do the Elf on the Shelf when your kids are little. Maybe you pass by them in the store, tell your kids those are just elf on the shelf toys, and move on with your life. Maybe you have vowed never to take up with that foul creature. Maybe you’re just bitter you aren’t the marketing genius that came up with that thing. Whatever the case may be, you’ve probably been okay skipping the elf without anyone knowing the difference. But be prepared- someday one of your kids will start school. They’ll hear about the elf on the shelf in great detail. 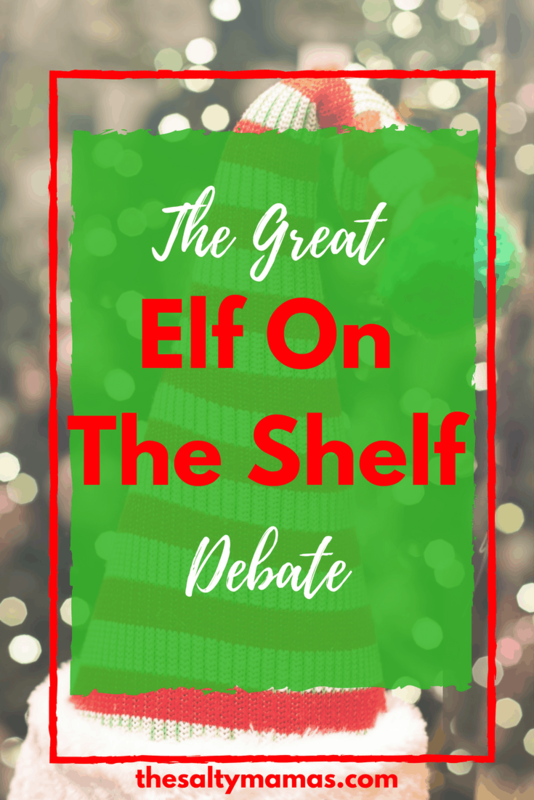 You’ll find yourself with a choice to make- should I do the Elf on the Shelf with my kids? 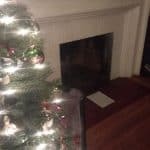 Should I do the Elf on the Shelf with My Kids? I knew “all the kids” in Lila’s class had elves, and had even successfully fielded some questions about why we didn’t get one at our house. Santa knew Lila was nice enough already without sending an elf to spy on her, and all the elves were visiting other kids this year. She accepted it cheerfully enough and I thought we were out of the woods. And then we had a friend from school over for a playdate, and they asked to see her elf, and Lila was like, “oh she’s on the roof today.” I said out loud, “silly Lila, we don’t have an elf,” and she burst into tears, and I found out my daughter sits on a throne of lies and smells like beef and cheese (see what I did there?). She felt super left out when the other kids were talking about elves, and so she had told them she had one, too. She’d even told them stories about her elf’s exploits. So when she got busted? Yeah, she had all the feelings. I couldn’t decide which tack to take. I mean, she had lied- not ideal Christmas-time behavior. But she was so genuinely distraught that it made deciding to do the Elf on the Shelf a little easier. It wouldn’t cost me a ton of effort (if I played my cards right), but it WOULD make a big difference to Lila. Against my better judgement, we hopped up on the bandwagon sleigh and away we went. We wrote a letter to Santa asking what the hold-up was in the elf department. 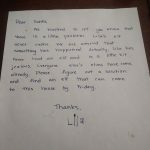 Lila requested he “find a solution and send an elf to this house by Friday.” (She told me to write that part in a stern voice.) Then I headed off to Target and worked on finding an elaborate backstory for why her elf took so long to get here. So for others who might find themselves in a similar situation…we’ve compiled this list of resources to help you. Or not. Because, despite what our kids would have us believe, you are still in charge and you can do what you want to. … But don’t forget to have some handy excuses prepared for when the Elf Forgets to Move. …Or simply Indulge Your Hatred with TheEverydayMomLife.com. Do what this mom or this mom did, pat yourself on the back, and pour yourself a margarita. It’s the Salty Mamas way. Damn, I’m pretty anti-elf, but I think if my kindergartener pulled what yours did I might be swayed as well. Sorry you got sucked into it while I’m sitting pretty in my elf-less house over here!